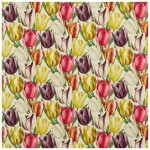 Early Tulips is an uplifting fabric of bold Tulips by Sanderson. 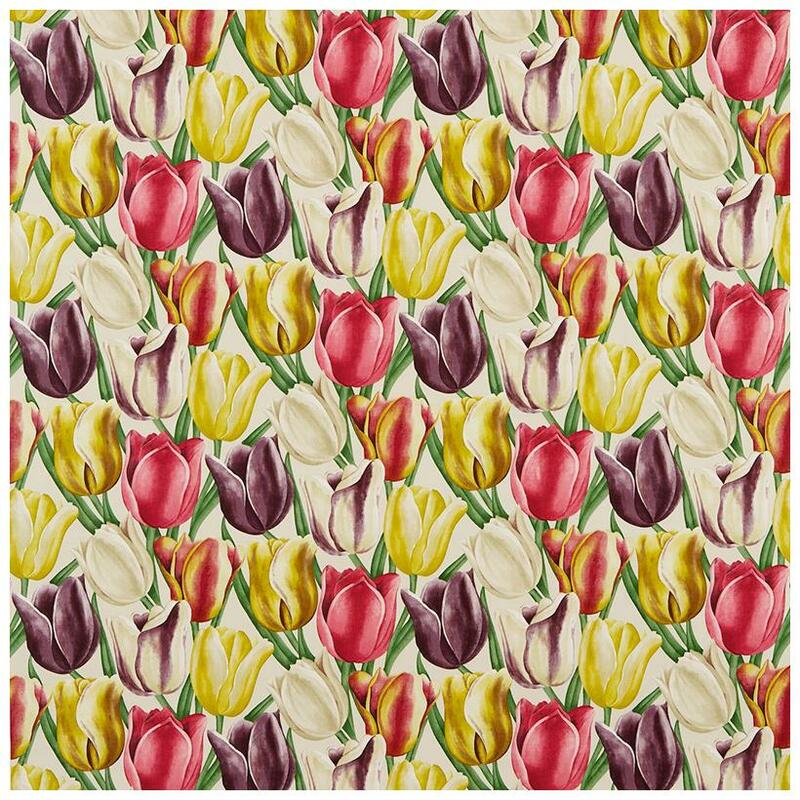 Dating from 1929, this Eaton Rural fabric design of bold tulips has been redrawn in the Sanderson studio. This fabric is suitable for curtains. Composition is 100% cotton. This fabric has a width of 137 cm’s. It’s Vertical pattern repeat is 48.5cm and its Horizontal pattern repeat is 68.8cm.